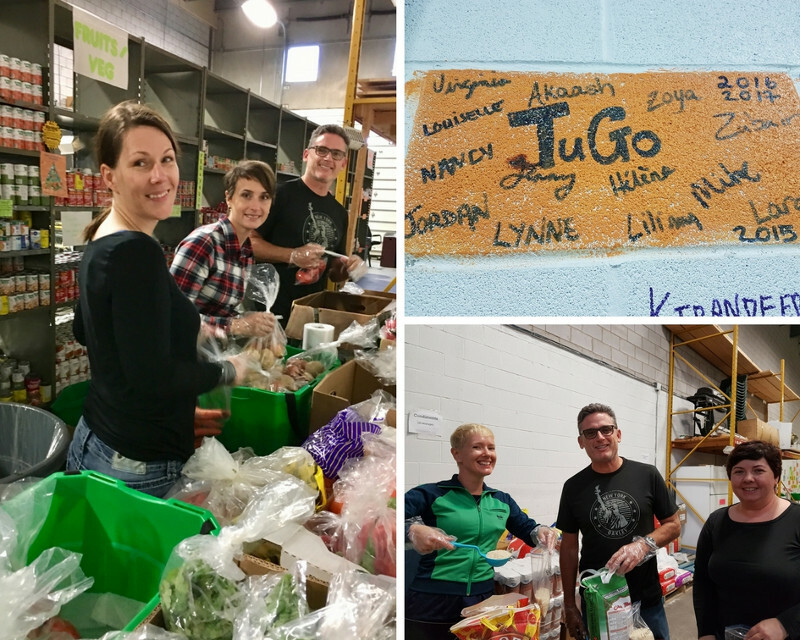 At TuGo, supporting our communities is important, which is why we hold an annual Employee Volunteer Month to give back just in time for Thanksgiving – a time of year that we all embrace! For our first volunteer session, we visited our friends at the Richmond Nature Park. In partnership with the City of Richmond’s Partners for Beautification (PFB) Program, whose mission is to protect and preserve the surrounding areas, we removed invasive blueberries that compete with the fragile peat bog and destroy the park’s overall ecosystem. Our TuGo team enjoying the sunshine while keeping the Richmond Nature Park free of invasive plants. 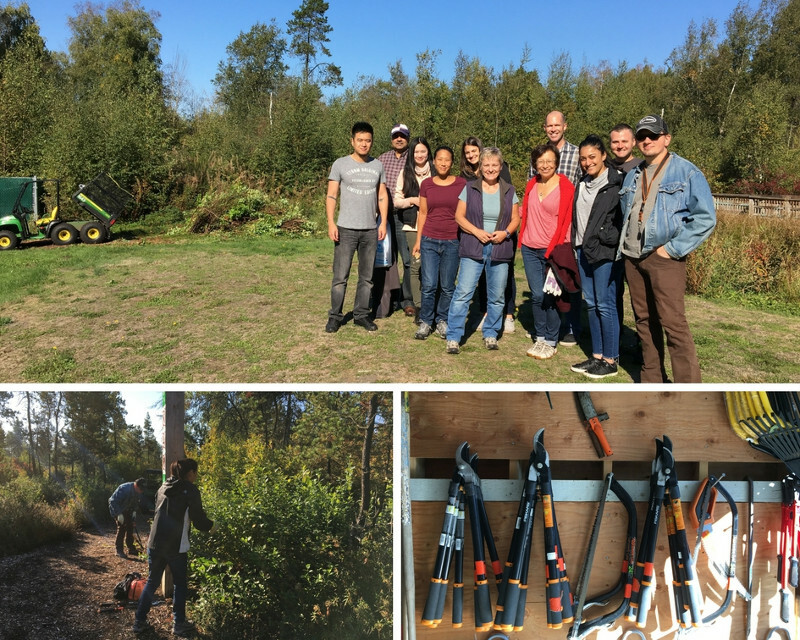 A few of our TuGo employees arrived with shears in hand, prepared to clear the bog forest trail by removing blueberry plants. The team had a great time, and the end result was nothing short of rewarding. Year after year, TuGo takes pride in supporting the Richmond Food Bank. The organization provides nutritious food choices, along with programs and opportunities that help make a difference in the community. Despite the strenuous tasks, this volunteer opportunity is always a hit! Our assembly line of volunteers had a blast organizing shelves at the Richmond Food Bank. Before Thanksgiving, TuGo employees cleaned, organized, sorted and repackaged donated food in the warehouse to help the Richmond Food Bank prepare for their busiest time of the year. We also completed some messy but satisfying tasks such as composting, recycling and washing the Food Bank delivery vans. 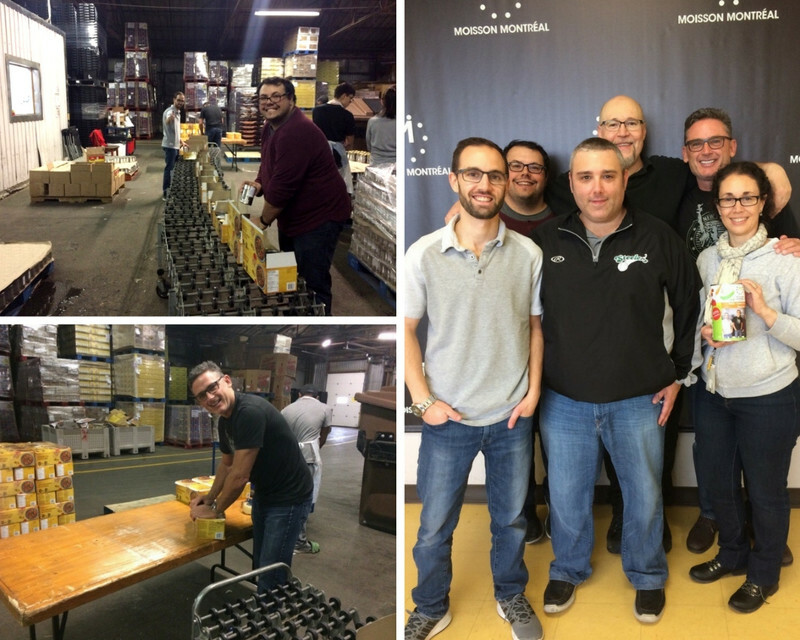 The Montreal team volunteered at Moisson Montreal, one of the largest food banks in Canada. They receive over 600,000 food requests every month, requiring dozens of volunteers everyday to keep the operation running. Our Montreal team working hard to pack hundreds of boxes for those in need. We met our goal by preparing over 500 boxes of canned goods for distribution. It felt great to give back to our community, and we look forward to volunteering again at Moisson Montreal very soon! Our team in Mississauga was proud to partner with SEVA to help prepare food for the less fortunate. SEVA provides safe, nutritious food to low income families living in seven postal codes across Mississauga. This year, we helped stock shelves, shopped for the food bank, and interacted with beneficiaries of SEVA’s services. Our Mississauga team enjoyed bonding over their volunteer day at SEVA. We had a blast helping out at SEVA, and it was so nice to see the smiles on everyone’s faces! On a chilly fall day, our team headed out to beautiful Steveston, BC to clean-up Garry Point Park. Despite the rainy weather, we had a great time walking along the trail overlooking the water and picking up litter along the way. 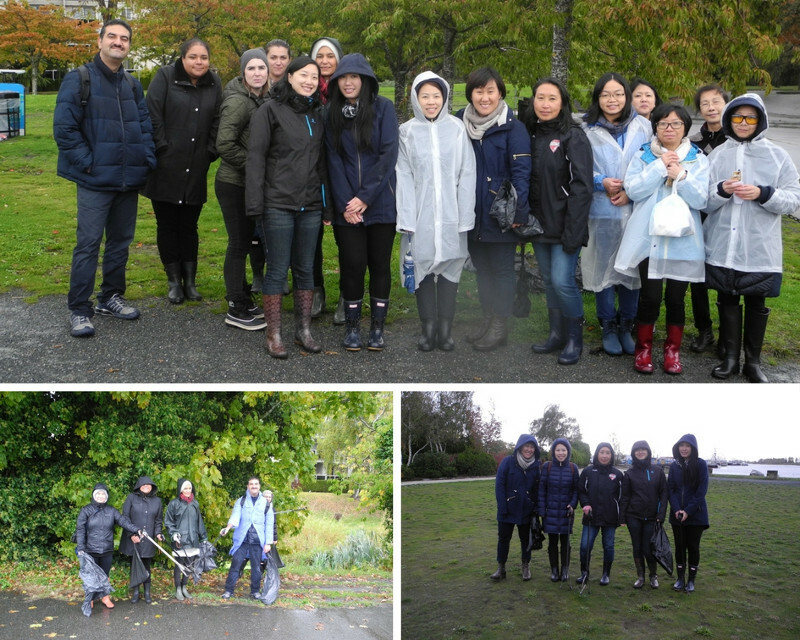 The rainy weather didn’t stop us from cleaning up one of Richmond’s most beautiful parks – Garry Point in Steveston, BC. It was especially rewarding to be thanked by locals and fellow trail walkers as they passed by! Hearing how much they appreciated our help reinforces why we participate in this initiative year after year. Back for its second year in a row, some of our crafty Richmond employees put their skills to the test in preparation for Richmond Nature Park’s annual event, Wild Things. Our team helped by carving roughly 10 pumpkins each to create a Halloween-themed nature park filled with jack-o-lanterns of all shapes and sizes! 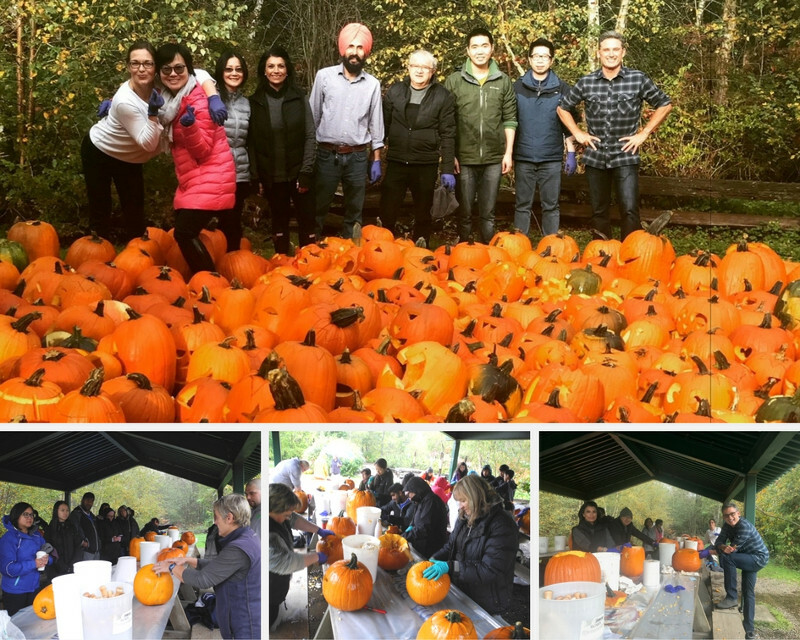 Our team was so proud to have helped the Richmond Nature Park carve this many pumpkins for their annual event, Wild Things. It’s not every day that our team gets to carve pumpkins, so we were very creative with our designs. Last year, the park welcomed over 1,500 visitors to enjoy the well-lit decorations, and we hope this year is just as successful! In 2017, over 90 TuGo employees took part in our Employee Volunteer Month. With a variety of opportunities to choose from, TuGo makes it easy for employees to help in a way that means the most to them – all while having fun supporting our local communities. Have you participated in any community events lately? 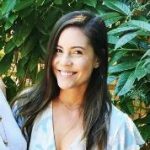 Feel free to share your volunteer ideas with us below!